When someone thinks of healthy food, gelatin may not be one of the first things that come to mind. But gelatin is more than just a jiggly childhood snack or a hospital staple. Collagen is what gives skin its healthy and youthful appearance. As people age, they naturally lose collagen, which causes the skin to become less firm. The result is skin that has wrinkles and lines. As gelatin is a great source of collagen, it may be a natural way to improve the skin’s appearance. 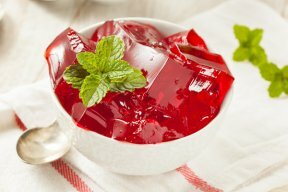 One benefit of gelatin is that it provides nearly 2 grams (g) of protein per ½ cup. Protein is considered a macronutrient, which means the body needs a large amount. Some animal sources of protein also contain significant amounts of unhealthy fat. Gelatin is a protein source that does not contain fat. 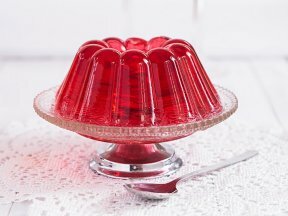 Gelatin may aid digestion in several different ways. For instance, the glycine in gelatin may promote a healthy mucosal lining in the stomach. It also stimulates the production of gastric juices, which facilitates proper digestion. Without adequate digestive enzymes, gastrointestinal problems, such as acid reflux, can develop. Also, gelatin binds to water and may help food move through the digestive system efficiently. Although more research is needed, one study indicates that glycine, which is one of the abundant amino acids in gelatin, may improve blood sugar control in people with type 2 diabetes.